The DxO ONE is a palm-size camera that features a 6-element f/1.8 aspherical lens and a 20 MP 1" CMOS sensor that produces stunning images. Via a rotating Lightning connector, it connects to an iOS device such as an iPhone, to compose the image and control the camera. It can also capture photos as a standalone device, albeit without a viewable LCD. I carried the DxO ONE in my pocket last week as I explored the Eastern Sierra. Because of its excellent image quality, I was able to rely on it for my wide angle shots (thanks to its 32mm fixed focal length lens). That allowed me to work with a long telephoto on the OM-D, and not have to worry about switching lenses in a breezy environment. The images I came home with were absolutely beautiful. 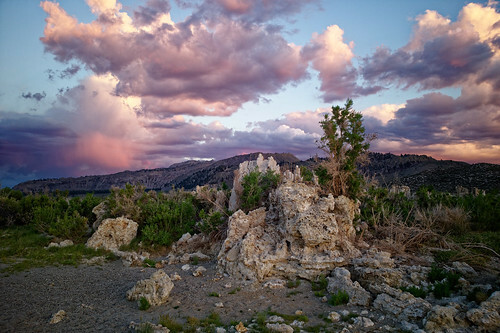 "Tufa and Water at Twilight" captured with the DxO ONE. Photo by Derrick Story. Click on image to see high resolution version. Thanks to the maximum aperture f/1.8 optic and ISO range of 100 to 51,200, I was able to work in just about any type of lighting condition. When the ONE is connected to the iPhone (a 5s in my case), I had plenty to hang on to while making the exposure. When not in use, it detaches from the mobile device and takes up just a small amount of space in my pocket (measuring 67.5 x 48.85 x 26.25 mm and weighing a mere 3.8 ounces). 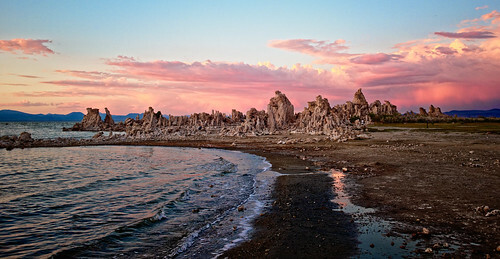 "Mono Lake Tufa at Twilight" captured with the DxO ONE. Photo by Derrick Story. Click on image to see high resolution version. The DxO ONE captures both Jpegs and DNG RAW files. Using the free iOS app, I was able to automatically save the Jpegs to the iPhone's Camera Roll for immediate sharing, then work with the DNGs (saved to a microSD card) later on my MacBook PRO using DxO Optics Pro software. Here's where the images really take on a new life. Because the hardware and software are made by the same folks, you can squeeze every drop of quality out of the photographs using Optics Pro or Film Pack (both come bundled with the camera). Lightroom users can have the photographs exported straight from Optics Pro to their LR library, ensuring a smooth workflow. 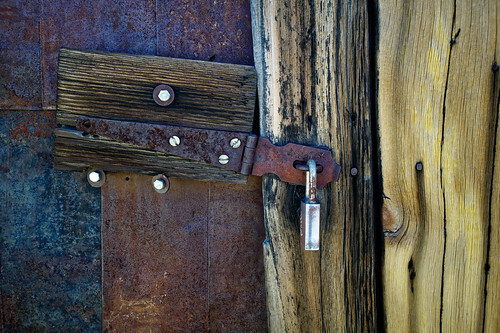 "Padlock" captured with the DxO ONE. Photo by Derrick Story. Click on image to see high resolution version. I've included a bit more technical information in the article, DxO ONE Unlocks Mobile Photography for Artists. What has really impressed me is how such a palm-sized device can capture so much quality, and work so well with the iPhone I'm already carrying. When used with a larger screened device, such as an iPad mini, it's almost like having a view camera in the field... at a fraction of the weight and inconvenience. You can preorder the DxO ONE for $599 with a shipping date set for September. Bundled software includes DxO FilmPack, and (for a limited time) the Elite Edition of DxO OpticsPro, their professional editing software (a $300 combined value). Bottom line is this: The DxO ONE is an impressive camera that works well with the mobile device that many of us already have in our pockets. It's conceivable that you could traverse the globe with only your iPhone and the ONE, and return home with an amazing collection of artistic imagery.